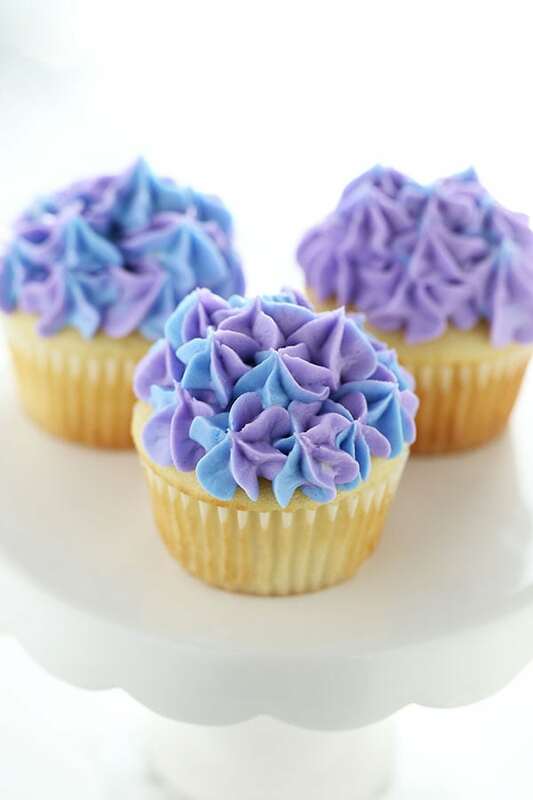 How to Make Hydrangea Cupcakes that are completely elegant and beautiful… no one needs to know just how easy these are to decorate these! Lately I’ve been completely obsessed with hydrangea flowers. I will usually pick some up weekly at Trader Joe’s and arrange them on our coffee table. I think they’re pretty and elegant without requiring serious flower arranging (a skill I have NOT yet mastered). 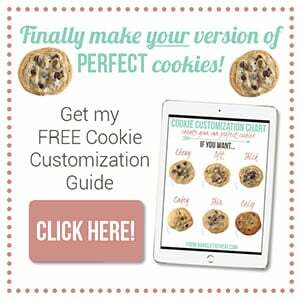 Like all things in my world, I had to figure out how to take this obsession and make a sweet edible version! 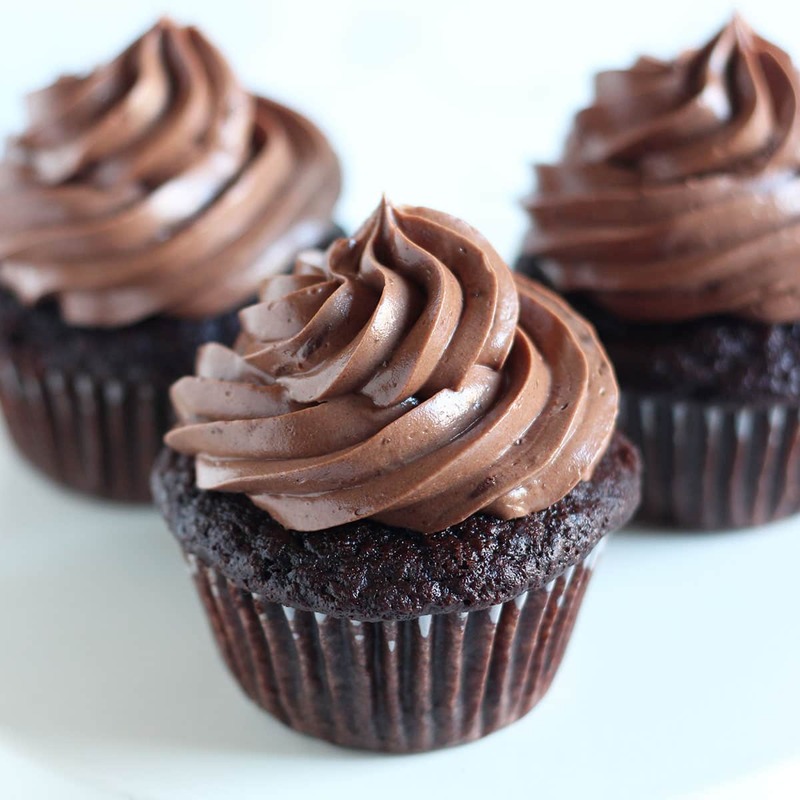 I’m just loving these hydrangea cupcakes because they’re so simple and quick to decorate, but look positively gourmet. Plus you don’t really need any hard-to-find tools or equipment. 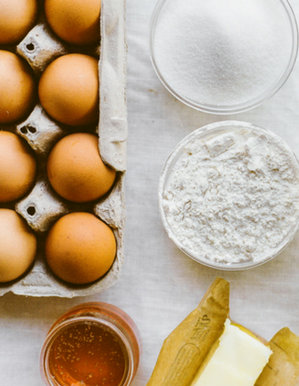 You might already have what you need if your kitchen is well stocked! 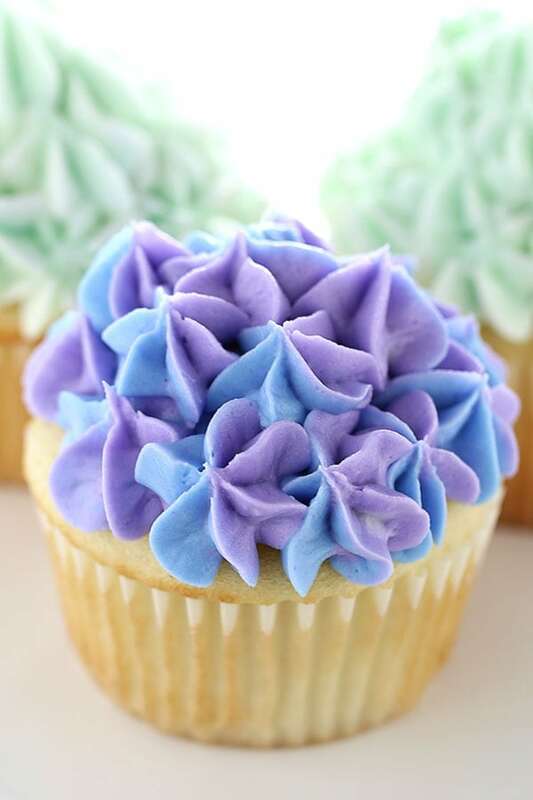 Besides using a star piping tip, the other trick to making these cupcakes look like hydrangeas is to get creative with the colors. 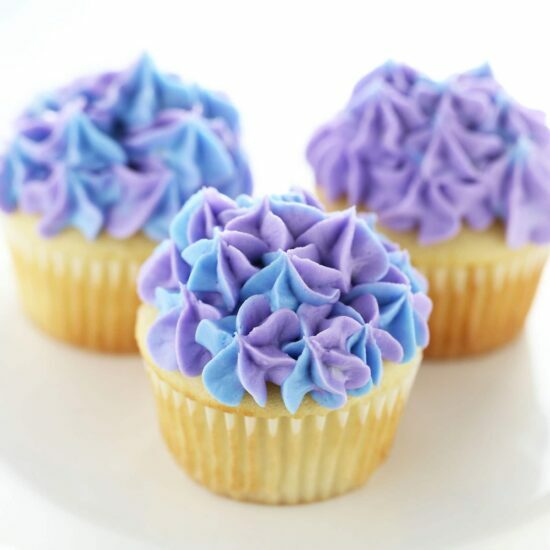 For the gorgeous purple and blue hydrangea cupcakes I used the third method from this post about how to make swirled cupcake frosting. I basically just spooned purple frosting into one half of my piping bag, then blue into the other half. Then I kind of squeezed them together so they blurred a little to give a more natural look. Easy! 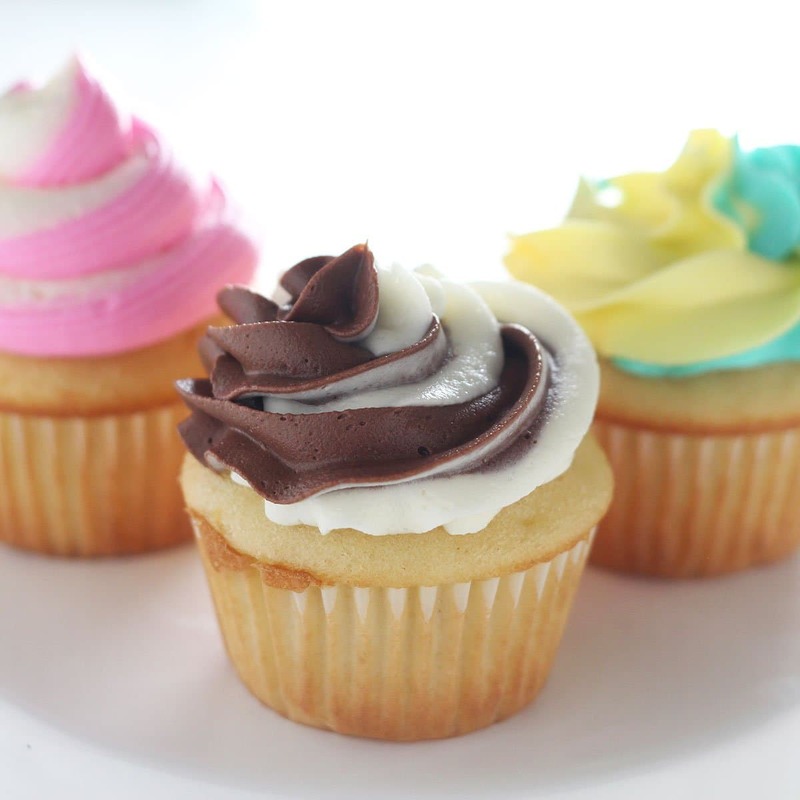 If you like these kinds of simple cupcake or cake decorating videos, let me know! I’m open to any requests or suggestions as well. I’m still getting used to decorating something for the camera. It’s really weird and I have to practice some more because thinking about how to make something look pretty itself, and then thinking about how it’s being captured by the camera is a bit of a challenge! 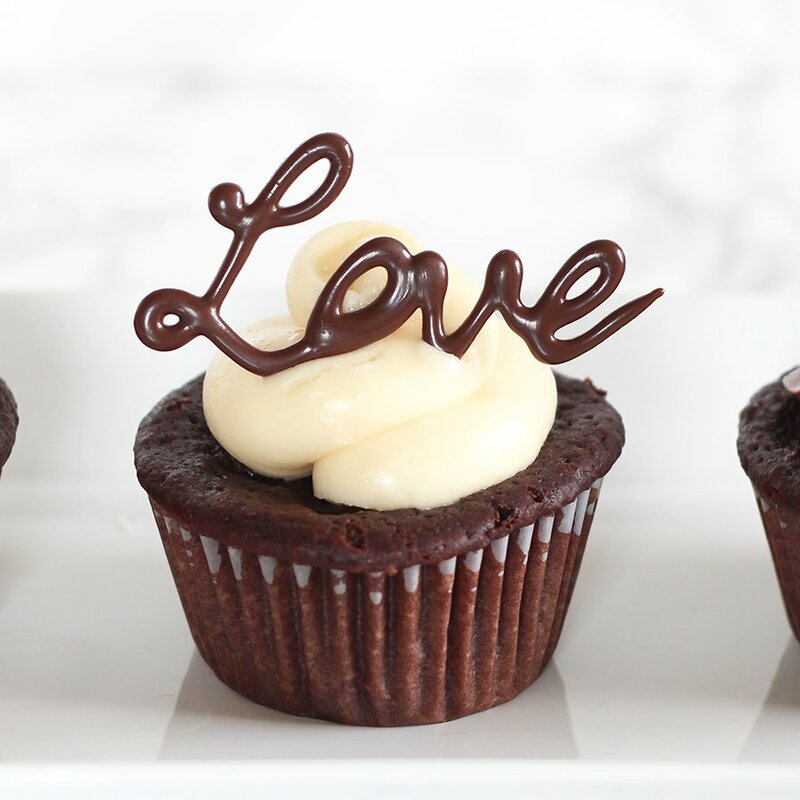 Got questions or frustrations with buttercream? 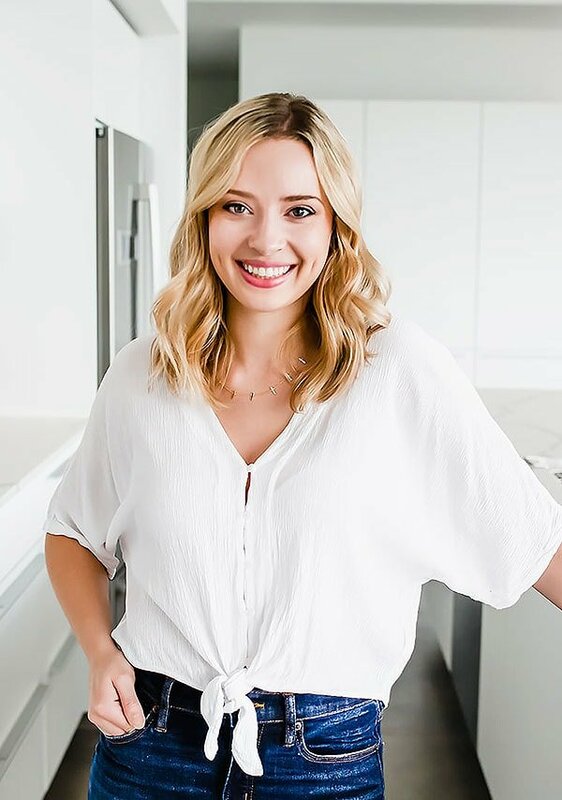 I have been trying to find a recipe for your buttercream frosting and could not get it to come up and yes I have clicked on everything I could think of. Can you help me with this? ?